As though dealing with your menstrual period and all its associated symptoms aren’t bad enough, among patients who experience a migraine without aura, some women experience what is referred to as a menstrual migraine. Learning more about what a menstrual migraine is, how it can be treated and how to cope with it can help you take control. (1) Pure menstrual migraine without aura is diagnosed when the patient experiences migraine attacks right before, during and after menstruation for at least two of three menstrual cycles and at no other time during her cycle. (2) A menstrually-related migraine without aura has similar diagnostic criteria. The main difference is the patient can experience migraine attacks at other times during her cycle under this category. As many as 35-50% of female migraineurs experience a menstrually-related migraine. 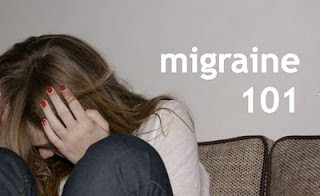 Rather than being considered separate disorders, both types of a menstrual migraine are treated by the ICHD-II as complications of a migraine. Researchers speculate hormone fluctuations during the menstrual cycle are responsible for menstrual migraines. 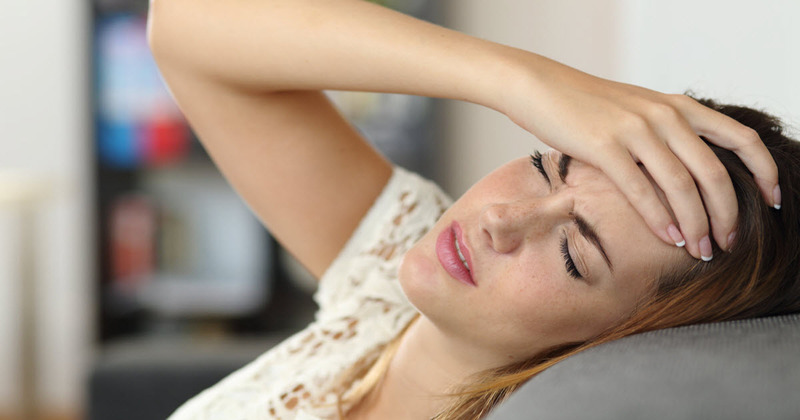 Experts recommend both acute and preventive therapies for patients with a menstrual migraine. The same types of acute therapies are utilized for patients with a menstrual migraine as are recommended for other patients with migraine disease. Options include triptans, ergotamines, NSAIDs, acetaminophen, butalbital compounds, and narcotics. Researchers have observed similar efficacy with acute therapies for menstrual migraineurs as for other migraineurs. Any alternative or complementary therapy that helps a migraine patient cope with a migraine attack, such as relaxation breathing, cold therapy, aromatherapy, etc., can also be utilized in dealing with menstrual migraine attacks. Short-term preventive approaches used by headache specialists for women with a menstrual migraine include having patients take NSAIDs, triptans (especially Frova) or estrogen patches or gels leading up to, during and directly following their menstrual periods. One long-term preventive strategy experts utilize involves having the patient use a hormone-based form of birth control continuously, skipping the woman’s period, to minimize hormone fluctuations. Not every woman can tolerate hormonal birth control, however, and it is contraindicated for women with certain health issues. Headache experts also utilize the same preventive medications used for prevention in other migraine patients, such as anticonvulsants, beta blockers, calcium channel blockers and antidepressants. Do you have questions about living with or treating menstrual migraine? Please share them in the comments. 1. “Menstrual Migraines May Be Preventable,” WebMD.com, Last modified August 3, 2003, http://www.webmd.com/migraines-headaches/news/20030403/menstrual-migraines-may-be-preventable. 2. Martin, Vincent T, Menstrual Migraine: New Approaches to Diagnosis and Treatment, American Headache Society, accessed July 22, http://www.americanheadachesociety.org/assets/1/7/MartinMigriane.pdf. 3. Headache Classification Subcommittee of the International Headache Society. “The International Classification of Headache Disorders 2nd Edition.” Cephalalgia 2004;24:8-160. Summer Sizzlin’ Deals happening at IceWraps.net. Save up to 50% on brand-name heat and cold therapy!